I purchased the 2 Arrow Knives California California Bowie on a forum a few weeks ago and I love this thing. It's stout yet very capable of doing bushcraft tasks. Just the right size for me needs. For my use, I think it's a great size and also very stout. 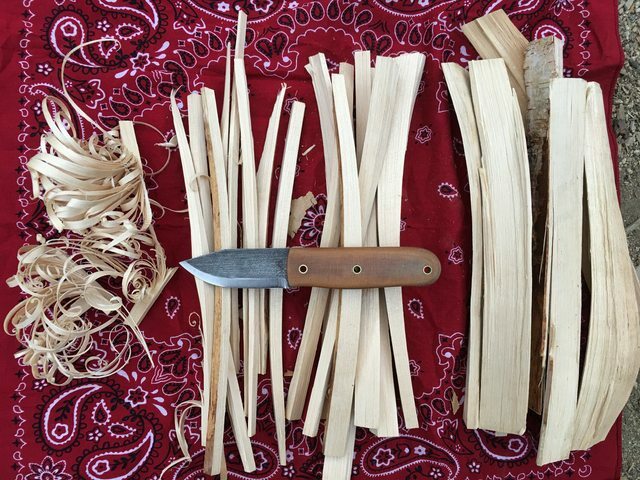 The blade is 3.5" and is long enough to baton through wood w/ the chipping away method (excuse me if that's the incorrect term). The blade is pretty broad, 1 3/8". A couple of whacks at the spine, sends the blade in deep. The clip point, sets the tip about at the center line of the blade. So creating pivots for a bow drill kit wouldn't be hard. I used the knife to make a "one stick fire", "cap full of feathers", and an abbreviated version of Mors Kochanski's "trystick". 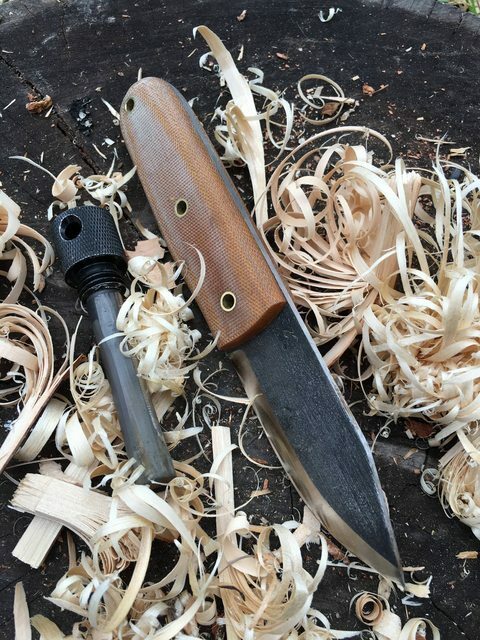 The 80CRV2 steel did a good job, after using it for a few weeks doing bushcrafty tasks, I really didn't notice much dulling. I stropped it after every use. It was a easy as pie. Breaking the wood down, was a snap and Zach put a really nice edge on it so feathering with is was very fun. Beforehand, I thought the broadness of the blade would make it more difficult to complete the Try Stick but I found the clip point allowed me a lot of tip control and also maneuverability in the notches. I thought it did great. It does look like a really good workhorse of a knife. 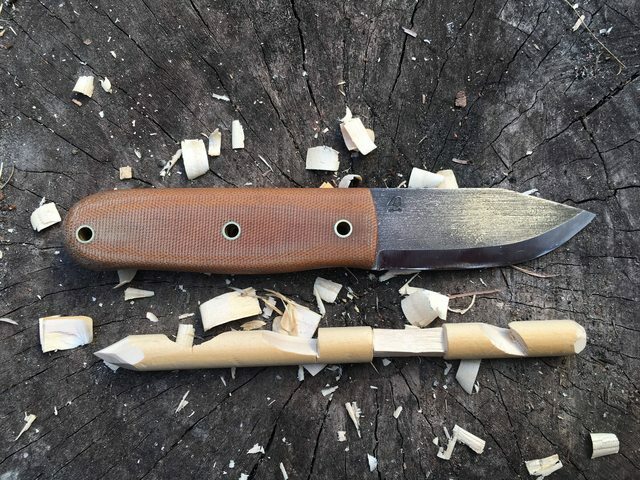 I tend to shy away from straight handled knives with no guard to prevent running a finger over the edge but other than that it sure looks useful. I really like the look of the shape and size of the handle. I'd love to see one with a blade of 4' - 4.5"
Hi Yeoman. I think you're right, 4" would be awesome. 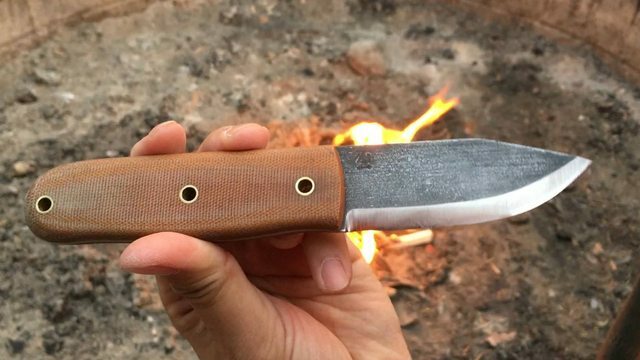 I just ordered another blade from him, a Skookum styled knife. Maybe sometime next year, I'm going to get one of his larger models. Yeah it's was a concern too. There's a little bit of a swell. I just have to be extra careful. But it is nice being right up to the edge, a bit more control- albeit potentially a bit more dangerous. 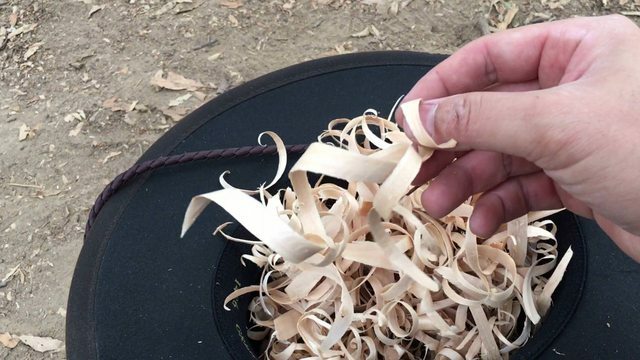 those are some fine shavings there. 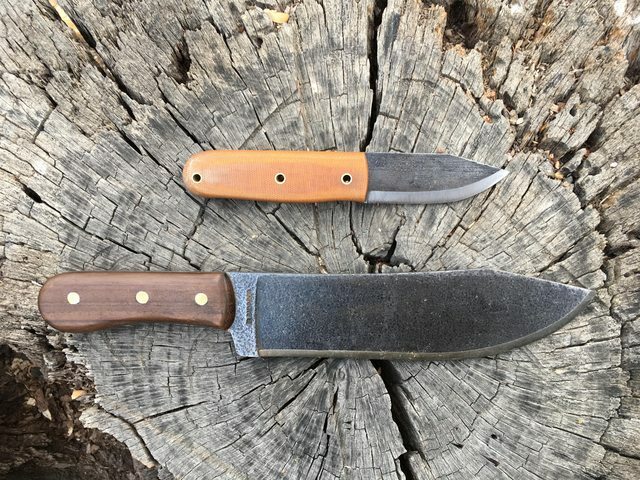 That's a nice sized knife for general camp tasks, I have a Stilwell, and a Woodlaw with the same type of handle and Puukoo styled blades of about 3-7/8" in length, I've seen some examples of 2 Arrow's knives and they are well finished, looks like a keeper to me, congrats on a good score, is it a full scandi ?